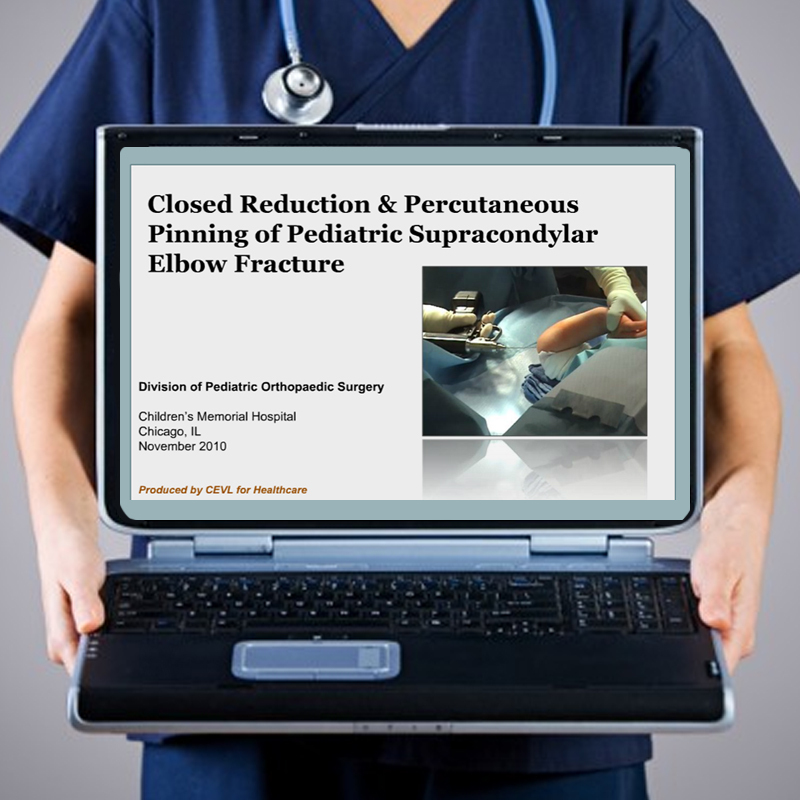 Surgical educational module for how to perform closed reduction and percutaneous pinning of a pediatric supracondylar elbow fracture. I read this article and found it very interesting, thought it might be something for you. The article is called Supracondylar Fracture Repair and is located at http://www.cevlforhealthcare.org/product/supracondylar-fracture-lurie/. Special licensing of this module for Lurie Children’s Orthopedics. 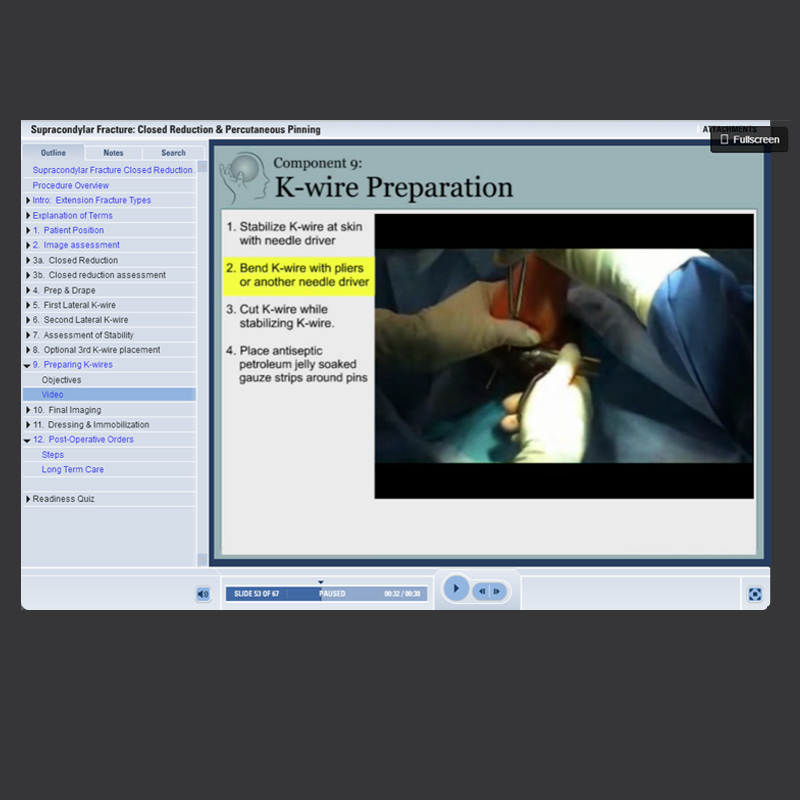 This 1 year subscription provides your team web access to detailed surgical video on how to perform closed reduction and percutaneous pinning of a pediatric supracondylar elbow fracture. Online interface compatible with all modern web and mobile browsers for PC and Android. 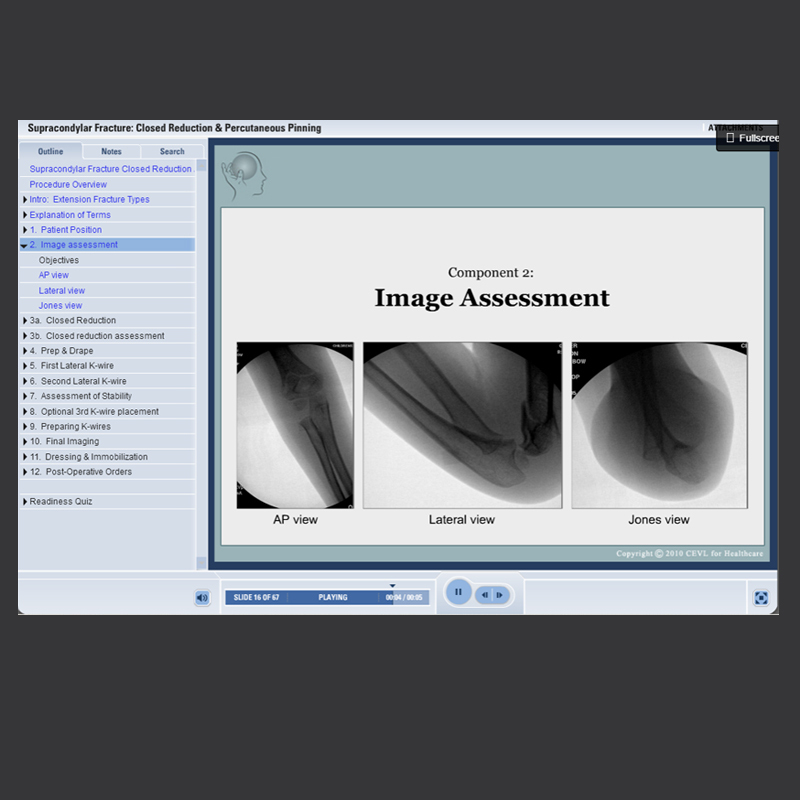 This educational module is viewed using Flash. Please be sure you have downloaded and installed the free Adobe Flash Player plugin for your browser or device. Because the module uses Flash, it is not currently available for iPhone or iPad. Updates coming soon to include these platforms.